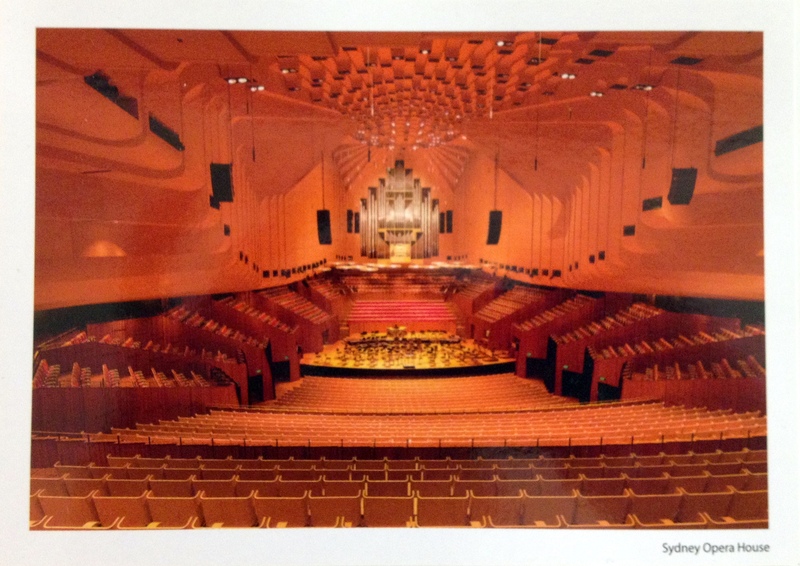 The Sydney Opera House! Neat-o! It made me wonder, if every city could have some cultural thing House, what would LA have? What about Houston? Perhaps more importantly, where would you want to live based on such places of beauty? 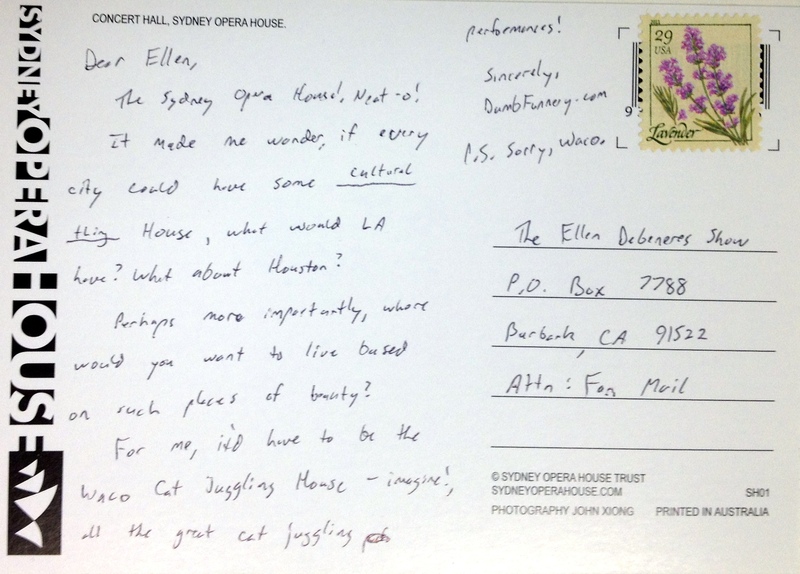 For me, it’d have to be the Waco Cat Juggling House – imagine!, all the great cat juggling performances! How could she ignore such a deep pondering card like this?